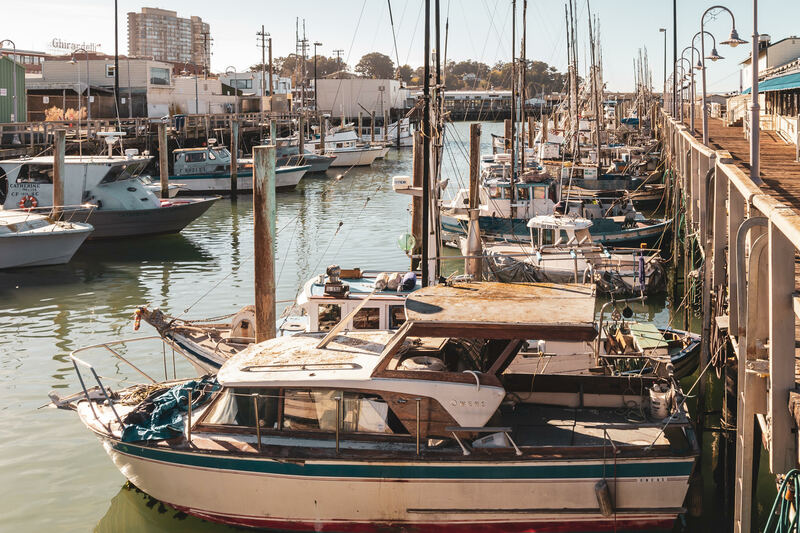 Boats in various states of repair at Fisherman’s Wharf, San Francisco. 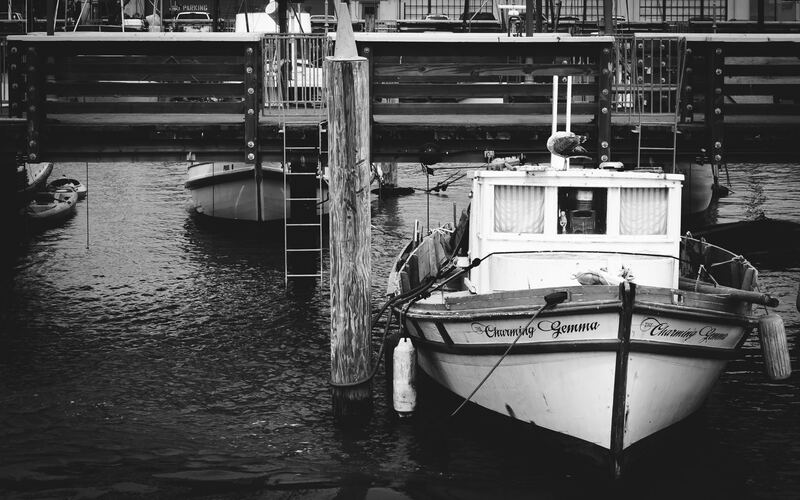 A boat docked at a pier in San Francisco’s Fisherman’s Wharf. 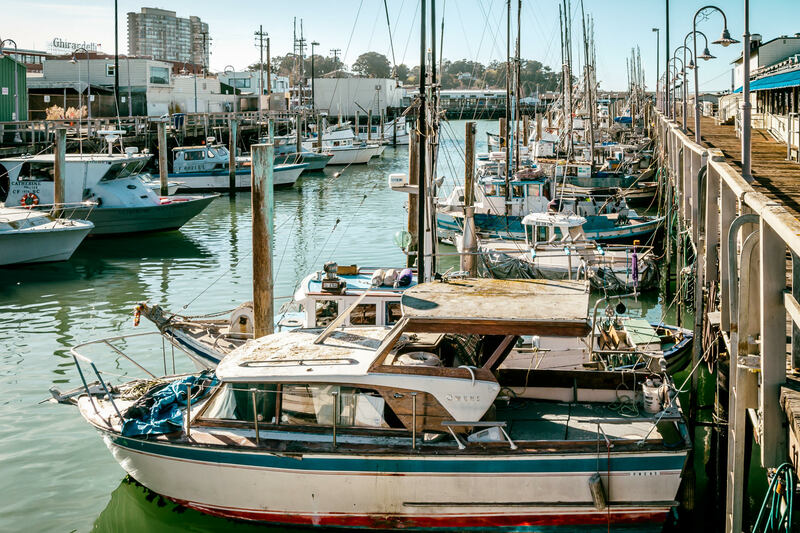 Boats docked at a pier along San Francisco’s Fisherman’s Wharf. 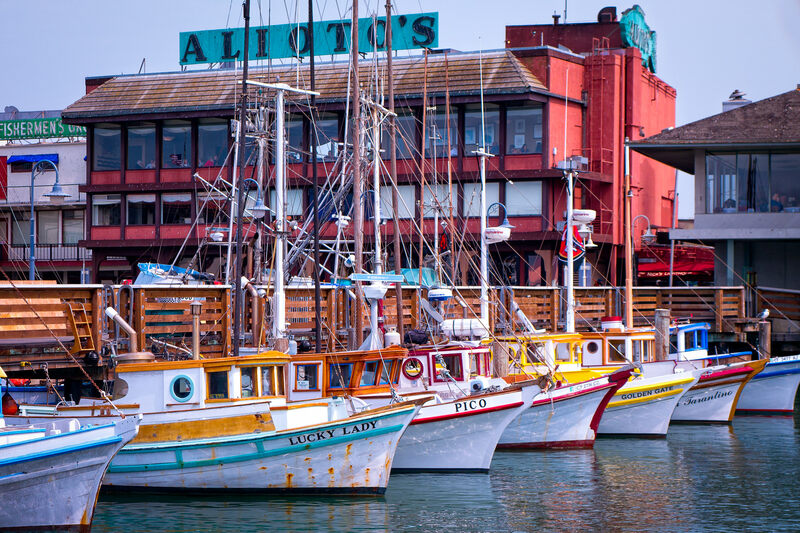 A fleet of multicolored boats docked at San Francisco’s Fisherman’s Wharf. 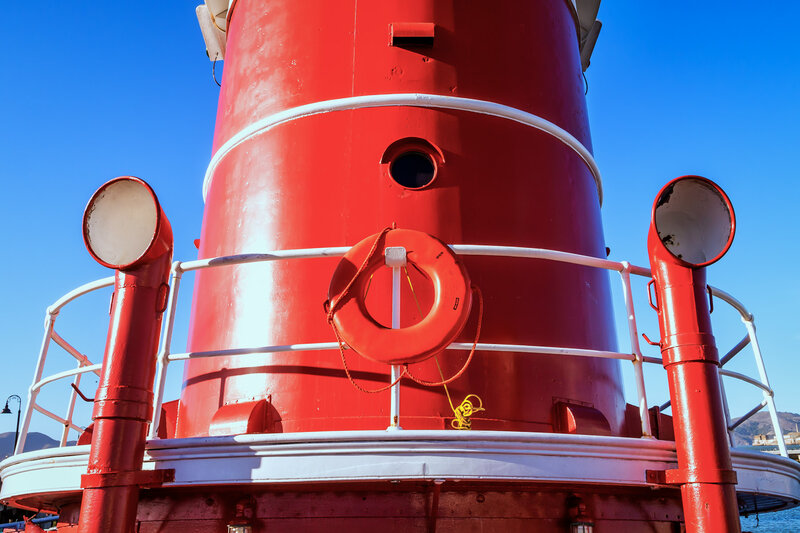 Detail of the 1907 Hercules, a tugboat now moored at the San Francisco Maritime National Historical Park at Fisherman’s Wharf. 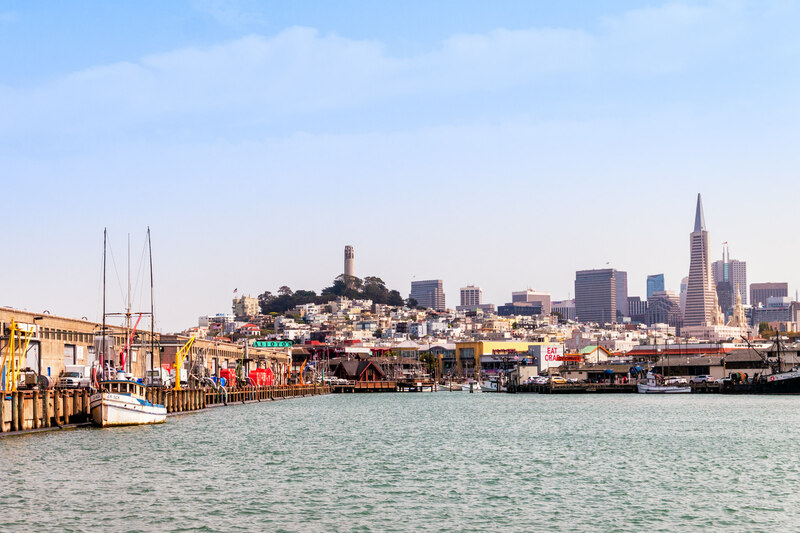 San Francisco rises behind on of the city’s most-famous attractions, Fisherman’s Wharf. 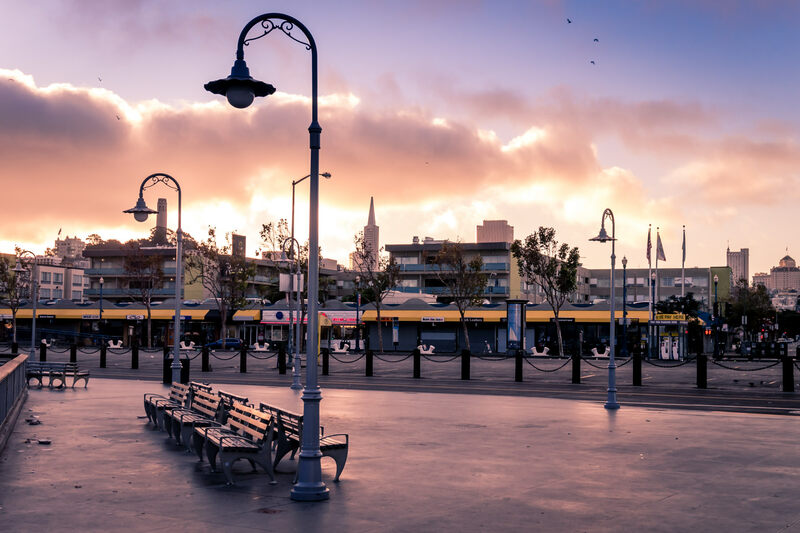 The sun rises over San Francisco, illuminating the empty streets of Fisherman’s Wharf and the adjacent North Beach neighborhood. 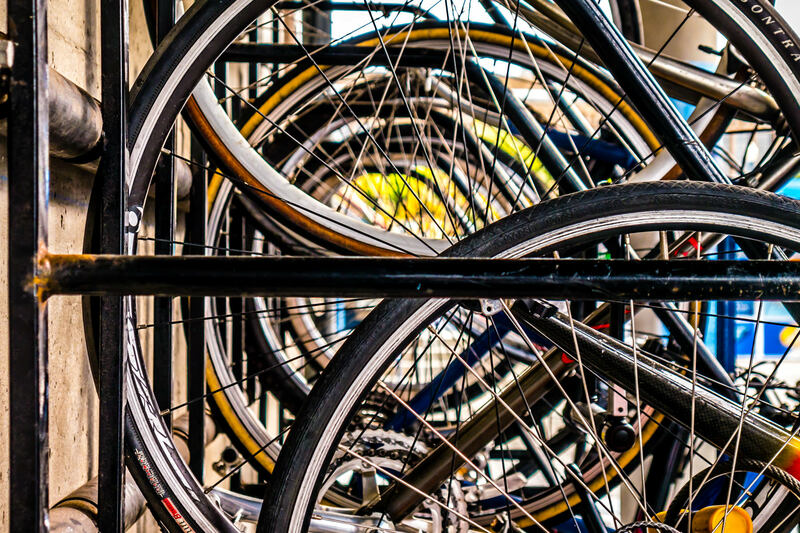 Detail of bicycles mounted on a vertical bike rack at San Francisco’s Pier 39. 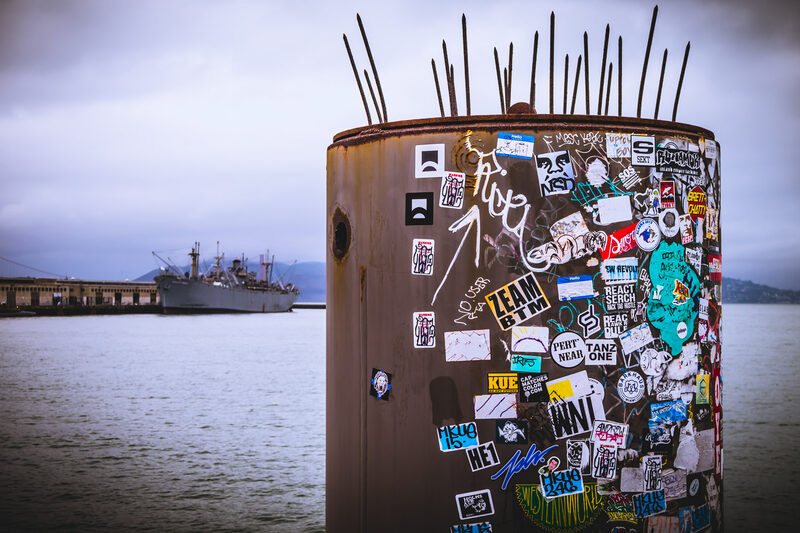 Decals cover a piece of dockside equipment on a cold, foggy morning at San Francisco’s Fisherman’s Wharf. 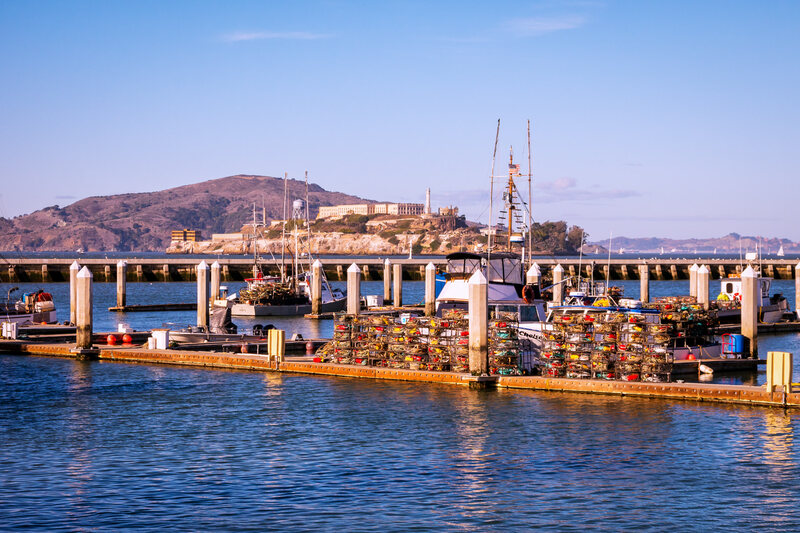 Dungeness crab fishing boats docked at a pier loaded with crab pots at Fisherman’s Wharf in the shadow of San Francisco Bay’s Alcatraz.